Riding the most famous 4x4 trail in the world. 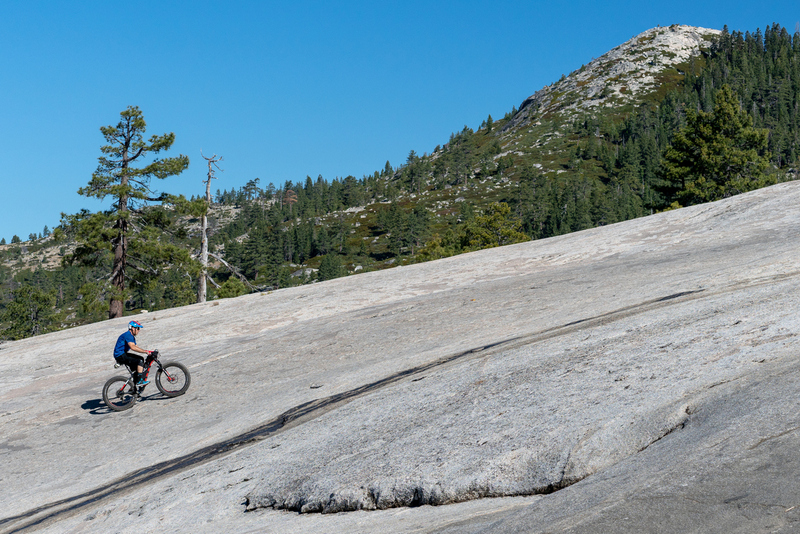 The Rubicon Trail existed before Europeans ever stepped foot on the continent, used as an Indian trading route. 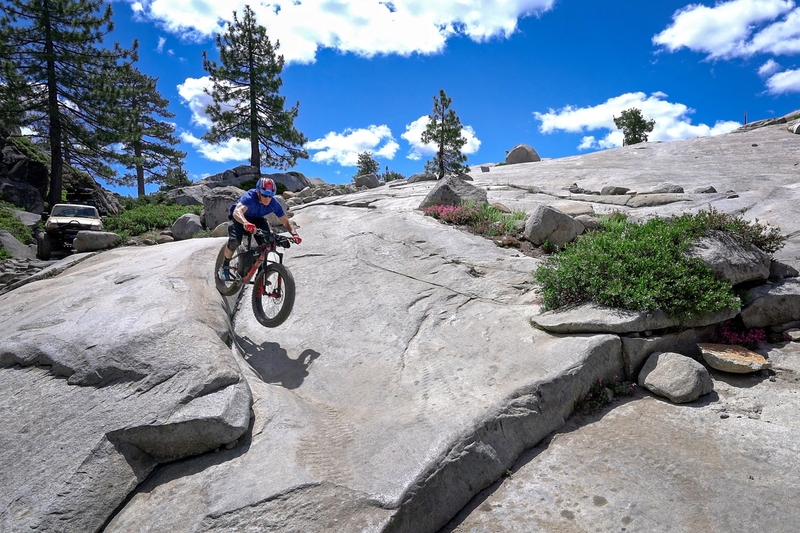 Starting in the mid-1800’s, explorers first started to make note of the unique terrain and the path through it that has become known as the modern day Rubicon Trail. 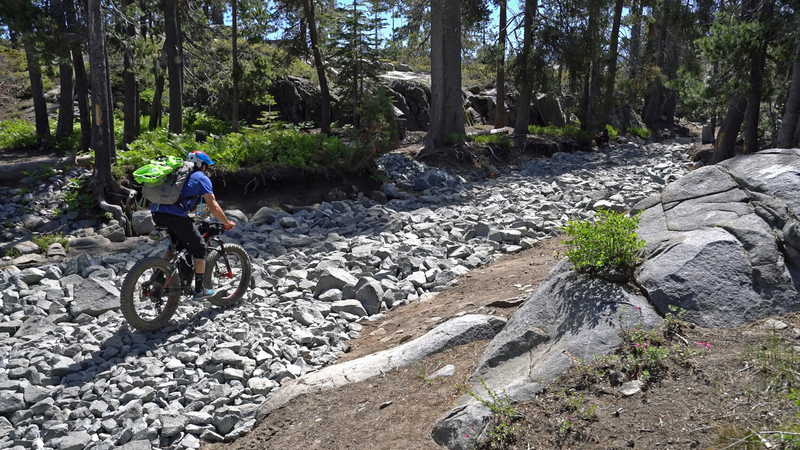 The Rubicon Trail runs from Georgetown, CA to Tahoma, CA in Lake Tahoe. It started as an Indian trade route, became a stagecoach route and is currently one of the premier 4-wheel drive trails in the country. Given its rugged demeanor, we are very curious if stagecoaches actually survived the whole trek. The first known vehicle to drive the trail was in 1908. Jeeps started regular use of the trail in the ‘50’s soon after WW II. Today, it is the iconic destination of 4×4 enthusiasts in the world and drivers flock to it in the summer. Its difficulty is legendary and traversing the entire 18 miles of trail is a feat few vehicles can lay claim to. 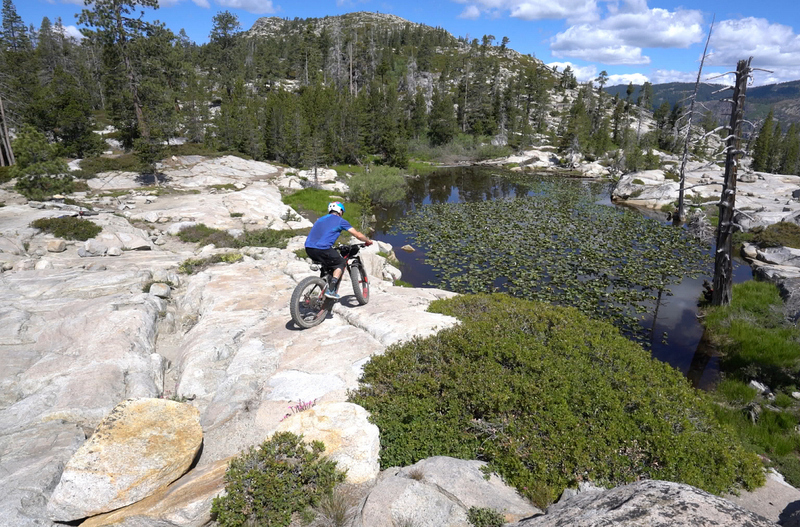 But is biking the Rubicon Trail possible or worthwhile? 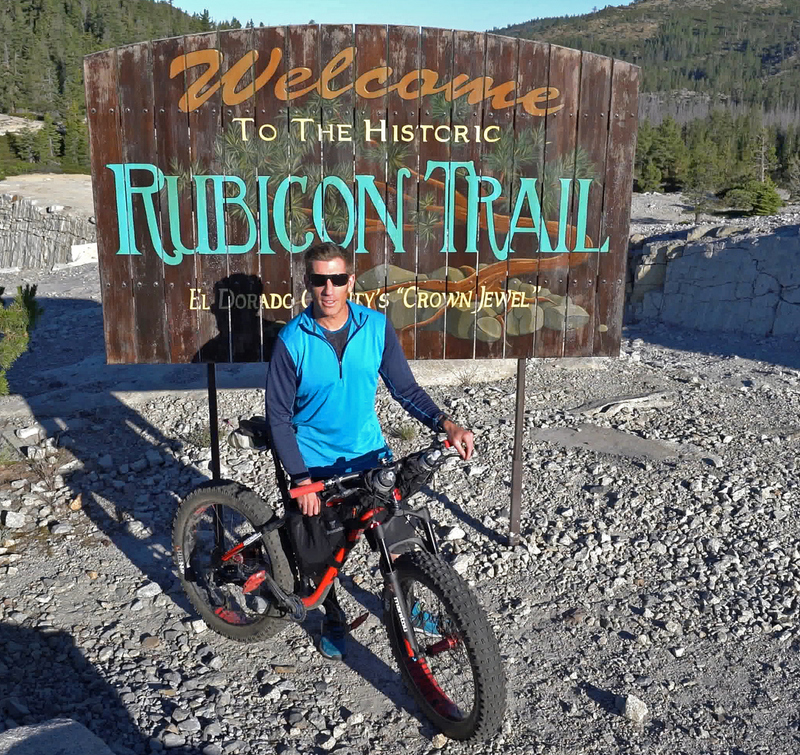 Living in the Lake Tahoe area for nearly 20 years now, I’ve heard a lot about the Rubicon Trail. The two (motorized) vehicles in our household, however, aren’t exactly capable of this sort of terrain so I figured the only way I’d get to check it out would be on a bike. 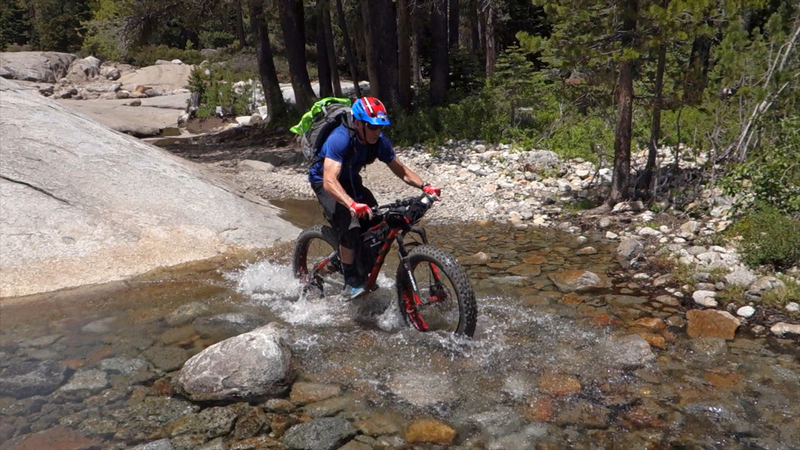 A handful of people have ridden bikes on the Rubicon going back to the 90s, including riders with way more advanced skillsets than I have (like Hans Rey). That was kind of the point though. 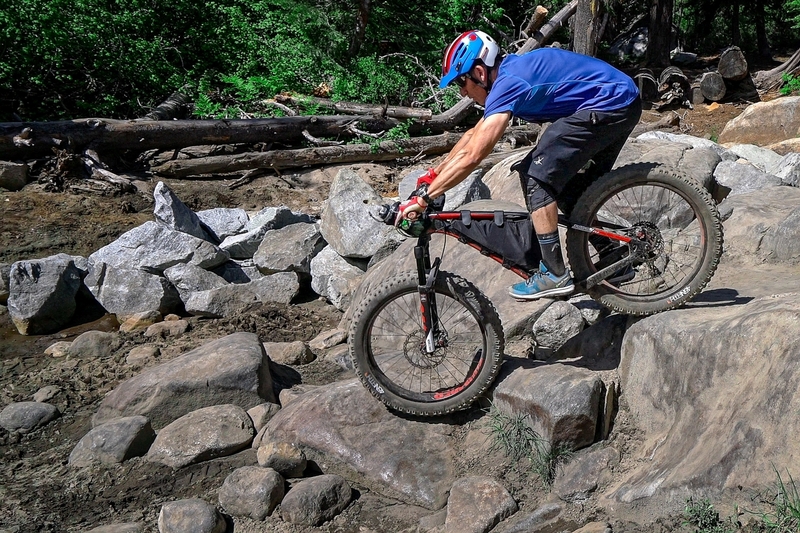 I wanted to see how it’d go for someone like me – a solid rider, but pretty darn far from pro. What I do have going for me for adventure rides is I’m open to a bit of a sufferfest. I can come into a ride knowing that there’ll be type II and borderline type III fun if I know there’s a reward to it. The Rubicon is one of those rides. There’s a reward just in the accomplishment of doing the whole ride. But, a lot of rides have that. What the Rubicon has that’s somewhat unique is the opportunity to freeride amazing granite zones (the Sierra Nevada version of Moab Slickrock) coupled with amazing views. 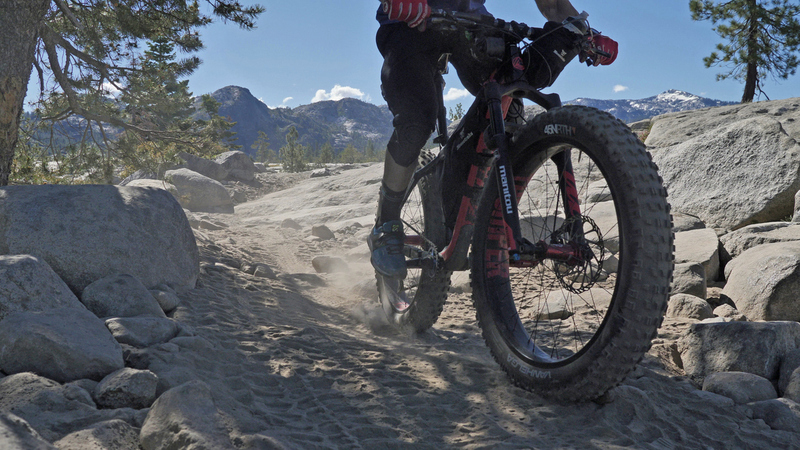 I have a couple of different bikes in my quiver including a full-suspension enduro, but for this ride, a hardtail fatbike seemed to make the most sense. I have a Fatback Skookum FLT that I use a fair bit in the winter when the powder isn’t ideal for backcountry snowboarding (or, sometimes to access the snow for backcountry snowboarding) and I also use it a fair bit for adventure rides. 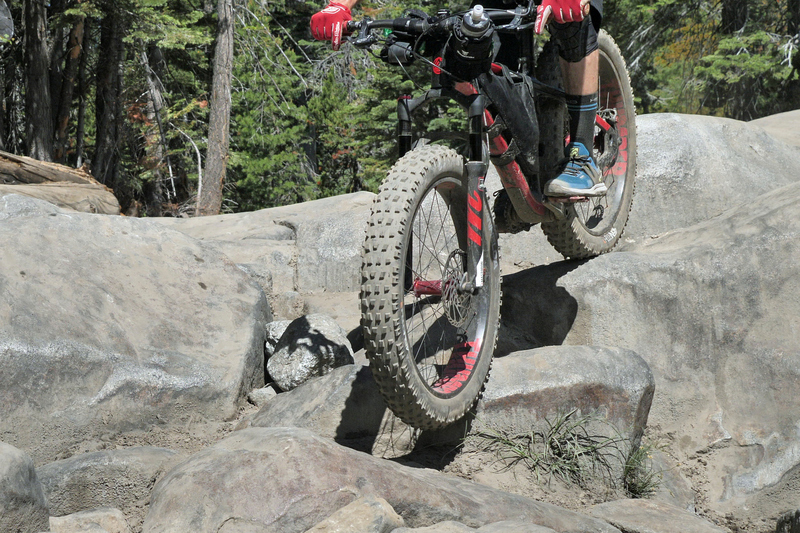 It’s a super fun, capable bike and after finishing the Rubicon I was confident it was the right call vs other bikes in my quiver. Big tires with low pressure just make sense for that sort of terrain (as you can see from the Jeeps out there). I’m not expecting a lot of people are going to rush out to ride the Rubicon. But, for anyone who is intrigued; the granite bowl you see a lot of in the video is very close to the start at Loon Lake. That alone is worth checking out even if you have no interest in going past there. Most of the additional “fun” stuff is in the first third or so of the ride. Next time I go, I’ll likely ride that as an out and back rather than the whole thing as a point to point like I did here. That said, I do want to ride the whole trail again, but rather than do it in a day, I’d like to bikepack it over a couple of nights to explore a bit more. 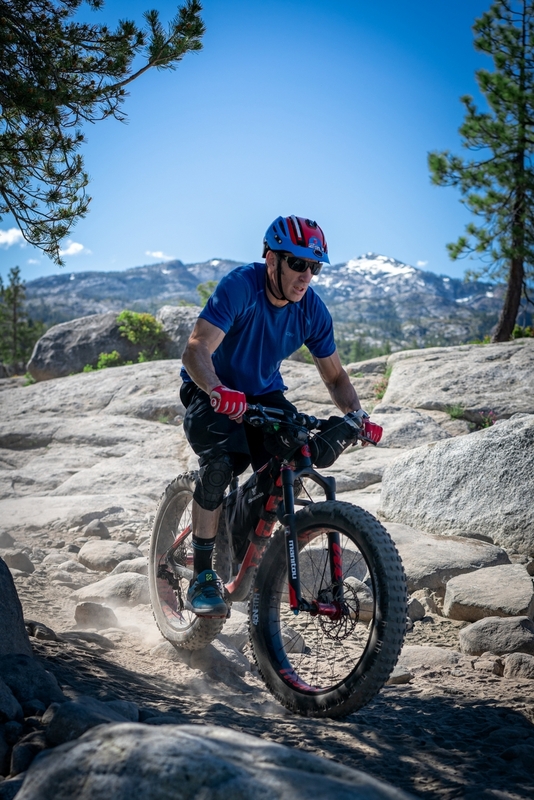 If you don’t live anywhere near the Sierra Nevada, hopefully, there are some adventure rides in your neck of the woods you can check out. 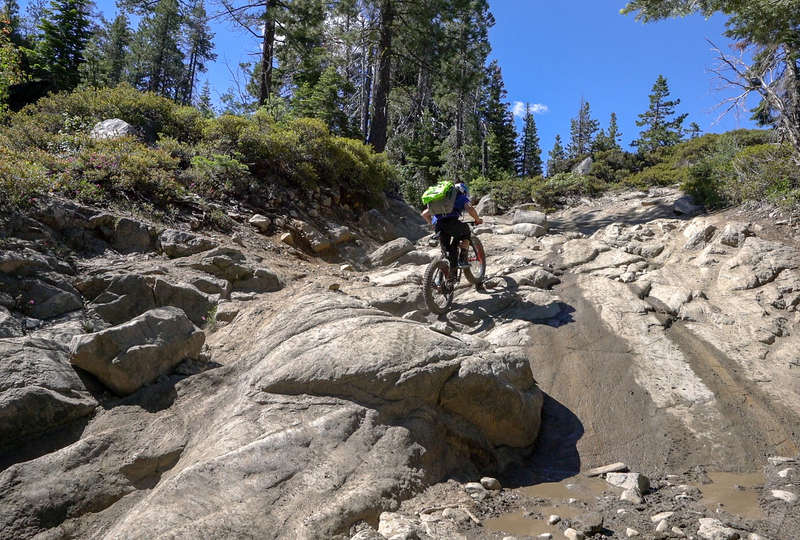 Flowy singletrack is awesome. 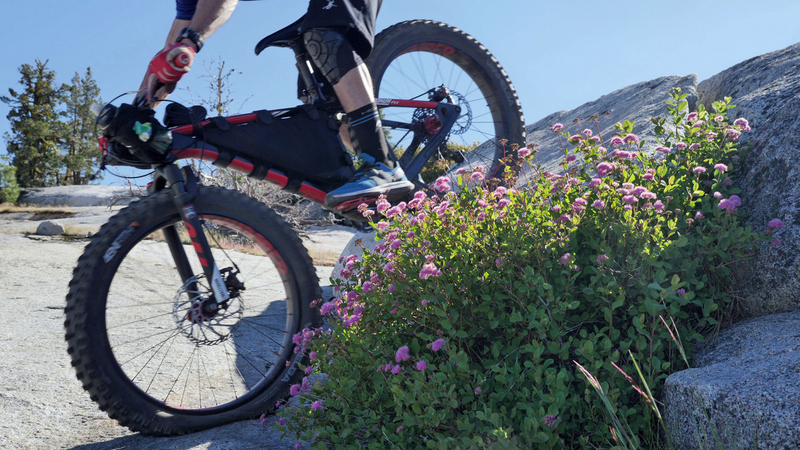 Long live singletrack. But, there’s something really cool about being able to take the bike places you wouldn’t normally expect a bike to go and get to see things you otherwise would never have seen. That was the case with me for the Rubicon. I knew I’d (likely) never check it out in a Jeep, but I do have a bike. Perhaps the best known and most popular 4×4 trail in the world. 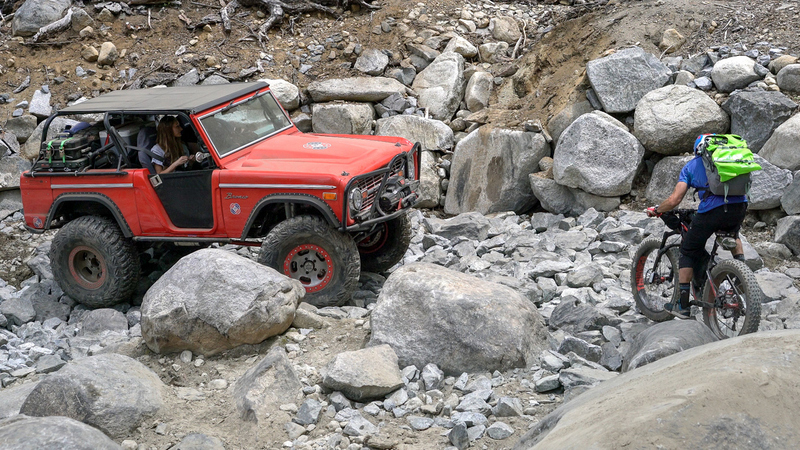 A rare combination of difficulty, beauty, length, and pure rock-crawling pleasure. Great camping next to crystal-clear lakes with stunning views. Most people drive the trail in the direction described here, but it can be driven in both directions. The trail reaches elevations above 7,000 feet and is partially snow covered in the winter. However, only the Granite Bowl is officially closed to vehicular travel at that time. From a practical standpoint, however, the trail is for summer use. 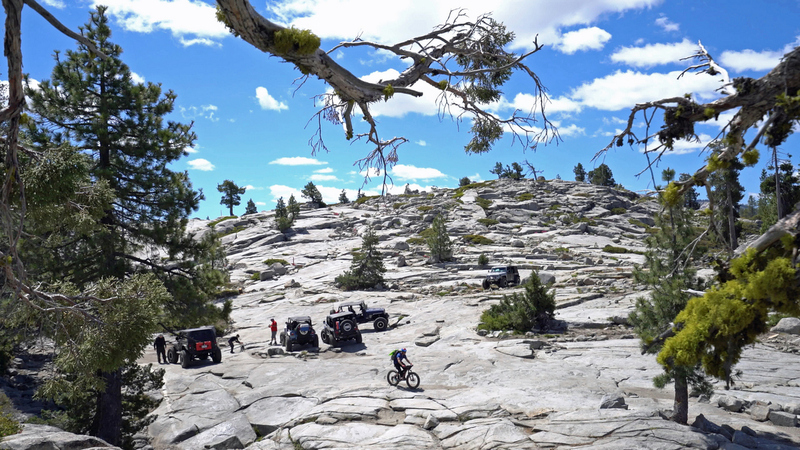 The World Famous Rubicon Trail is located in the California High Sierra with Eastern end of the Trail located in Tahoma, California at beautiful Lake Tahoe in Placer County. 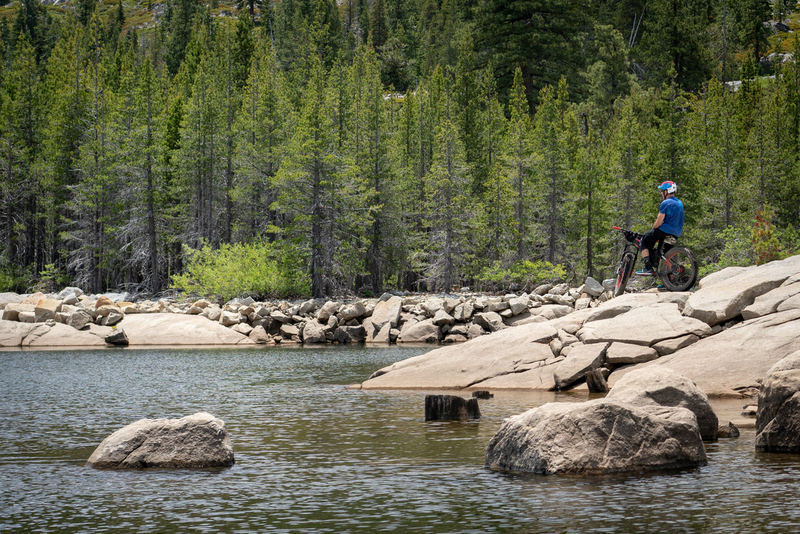 This world-renowned 4-wheel drive route leads from Lake Tahoe to Georgetown, a total distance of approximately 22 miles. The Trail is a non-maintained County road located in Placer and El Dorado Counties. 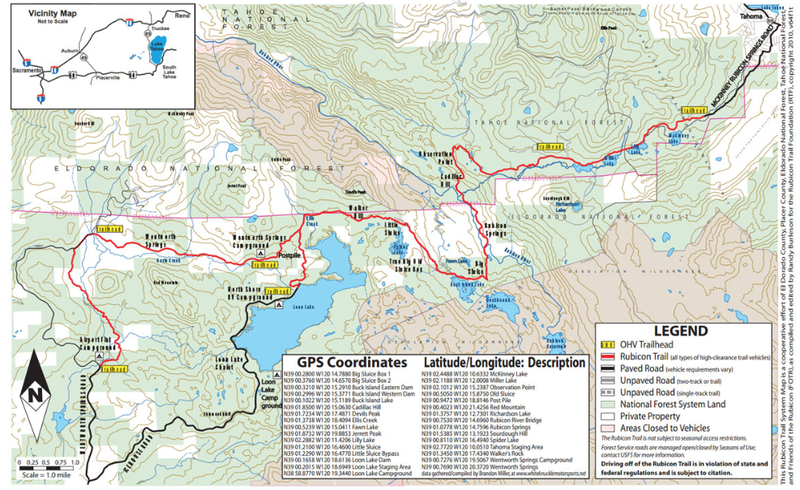 To reach the eastern trailhead, follow highway 89 south from Tahoe City for about nine miles. 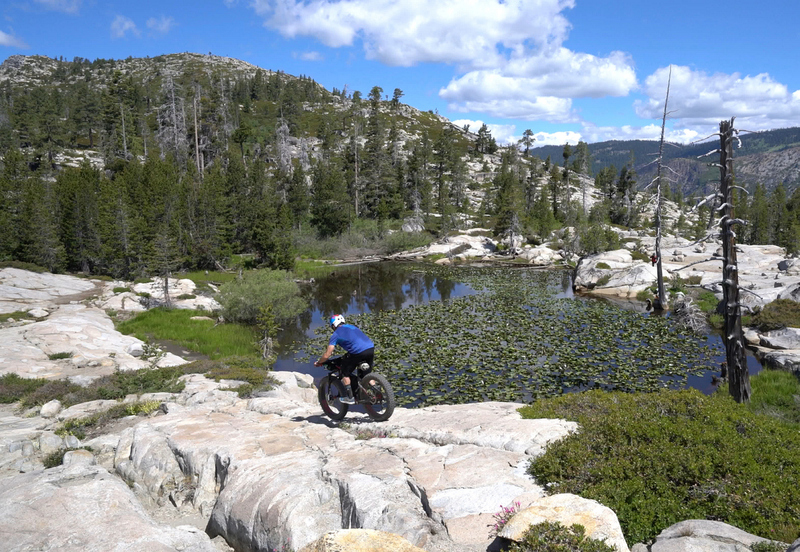 There will be a sign for McKinney-Rubicon Trail (also known as the Rubicon Trail). Turn in to the residential area and follow the signs. You’ll weave through the residential area for about a half mile before coming to the “entrance” to the McKinney-Rubicon Trail. There are signs at the entrance with various rules and recommendations for the trail. Great video! Looks like fun. how many different video camera did you use? Which ones were very easy to use and which ones where a pain to use? Video comments on: battery life, cost, retake shots.